AMERICAN SYSTEMS was awarded a position on a 10-year U.S. Marine Corps training systems contract with a potential value of $245 million to support the Marine Air-Ground Task Force. Under the MAGTF Training Systems Support indefinite delivery, indefinite quantity contract, AMERICAN SYSTEMS will compete for task orders to train Marine Corps operating forces on command, control, computer, communications, intelligence, surveillance and reconnaissance missions — known as C4ISR. Services for these missions include providing computer-based simulation, arms staffing training, tactical warfare simulation and Deployable Virtual Training Environment training. 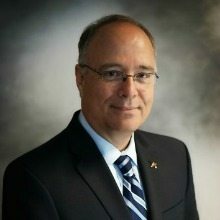 According to Peter Smith, president and CEO of AMERICAN SYSTEMS, the company has a history of supporting the Marine Corps and is already a training services provider. “We are proud to be able to support and strengthen the readiness of our Marines—we know what’s at stake,” Smith said.